While on a business trip to the test track, I did some browsing on Craigslist and came upon a changing table/dresser that looked like it had potential. I sent Chrissy a link and she gave me the green light to go check it out. It was on my way home from the track, so I went by on Friday night. It was still wrapped from a recent move so I took it as-is. 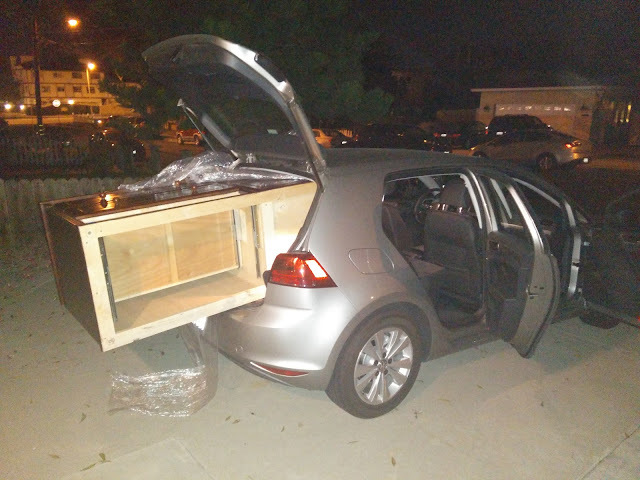 The seller was a small Indian woman, so I had to load it pretty much by myself. Not an easy task. Luckily, I had a work car, so I wasn't to worried about scratching it or anything. My initial measurements told me it would be a questionable fit, but it just made it, after I moved my seat forward. 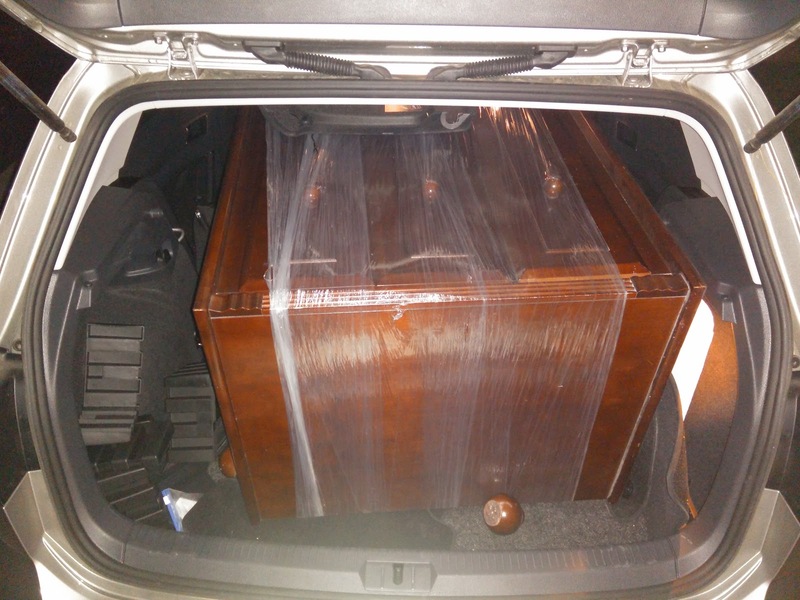 Once we got it home, we pulled it most of the way out of the car, unwrapped it, and removed the drawers to make it a little lighter. Thankfully it was light enough for Chrissy to help me bring it in. 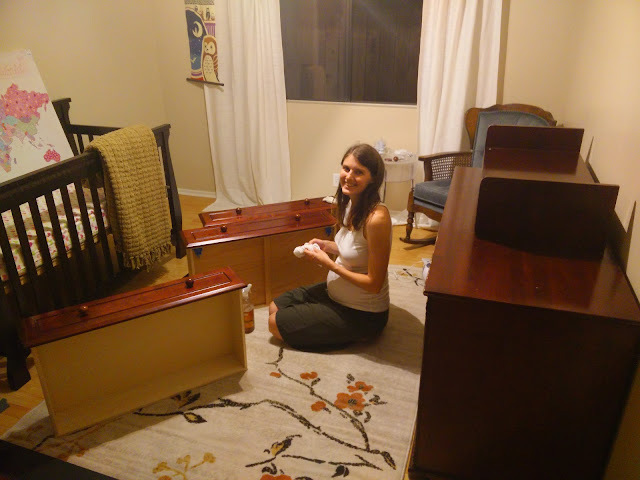 Chrissy enjoyed oiling the entire cabinet and cleaning some marker off the top. We also got new knobs that better match the rest of the decor. Finally, we relocated it under the window where we think it will live long-term. 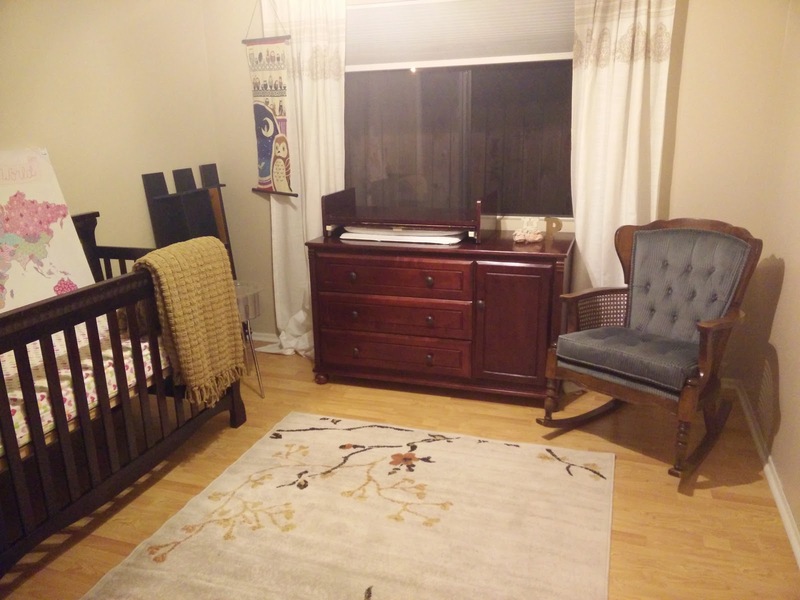 You can also see the rug we got for the room. Underneath it are some of the Harbor Freight mats that were in the fitness room previously. 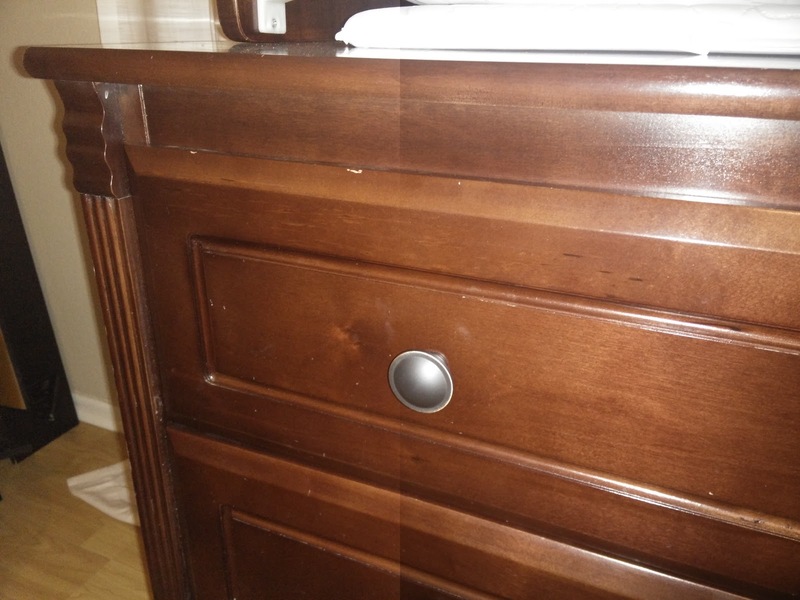 There is one more thing we're doing to this dresser that is so cool it will get a separate post soon. Stay tuned.